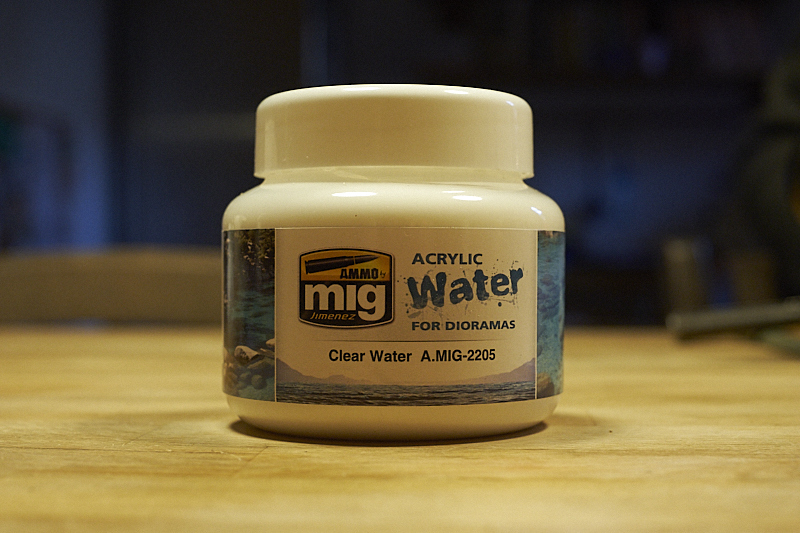 I got myself a jar of Ammo (MIG) clear water acrilic medium to simulate water in dioramas. It is the fery first time I am trying to use it and I am a little puzzled. 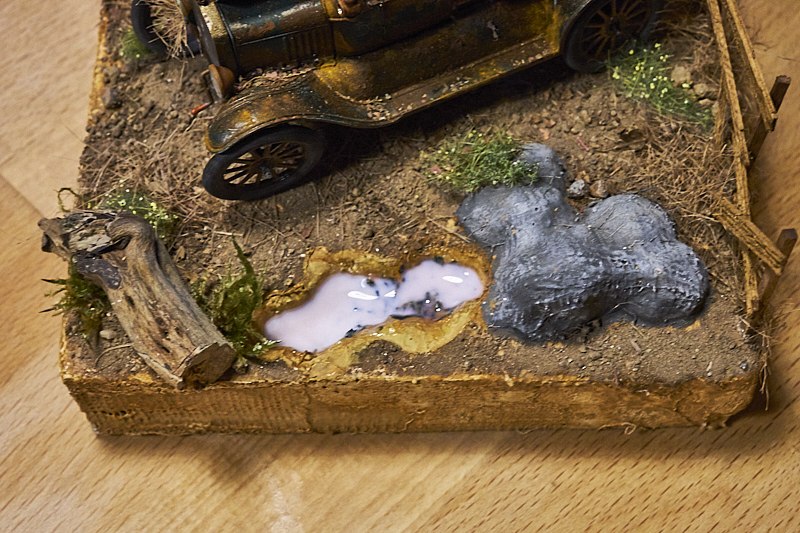 To experiment I added a poodlle in my vignette featuring a rusty Ford Model T.
For the first try I used a spatula to lay a ‘thin’ layer but still after many days some areas of it were still not cured in fact they were still white and not clear at all. Stripped it and redid it using an old brush, better results but still I hoped for something better. 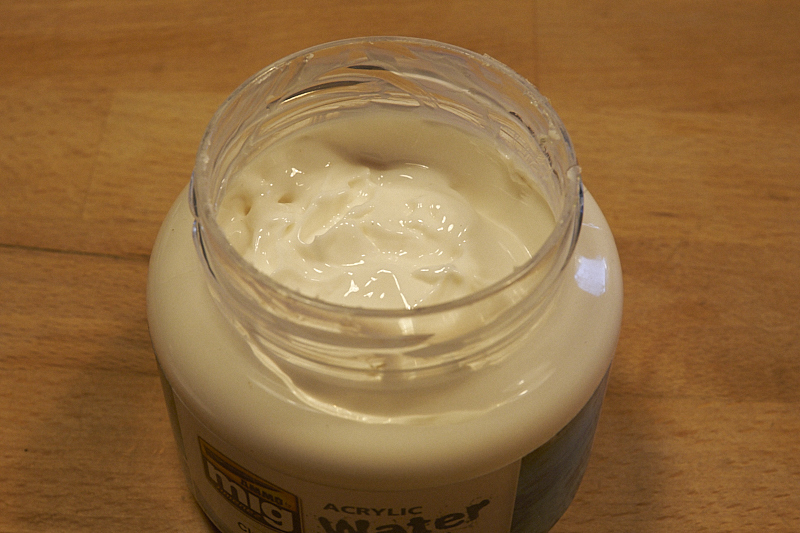 Third try was made by dilutind the acrilic medium (which, by the way, comes in a white paste like mayo) in water. When it is cured I'll show you how it has tourned out.